The age of social media has made it so essential that pretty much everyone and everything needs a social media account, at least if they want success or renown. Instagram (IG) has become an exceedingly popular platform particularly for businesses that want to market their products and boost their sales because of the fact that it has a solid interface and a vast user base, not to mention the fact that it makes it quite easy for you to get the word out to potential customers about the products and services that you offer. For example, you can use Instagram to show what happens at your company behind the scenes. This look into the inner workings of your enterprise can help people relate to what you are offering in a way, because it would humanize both your team as well as your brand and would create a sense of camaraderie between you and your followers. This has been known to boost brand awareness and sales, and there is also the fact that you can collaborate with relevant social media influencers to take over your account for a day and help build your brand. Read the infographic below to discover how some companies (including NASA, National Geographic, Twitter and Buffer) are leveraging IG Stories to give voice and personality to their brand. 20 percent stories posted by brands on Instagram result in a direct interaction with the user. Over 1/3 of users watch Instagram stories everyday. The Lego Group used Canvas ads in IG stories to increase awareness and sales. This resulted in 58% lower cost per click, 45 percent lower CPM. 15 percent - 25 percent of Story viewers swipe up to follow a link and engage directly with brand's website (this shows IG stories has the potential for news publishers as well to drive traffic from the app). E! News uses Instagram Story format for a series of best headlines taken from their magazine with pictures and clear, bold text overlay. 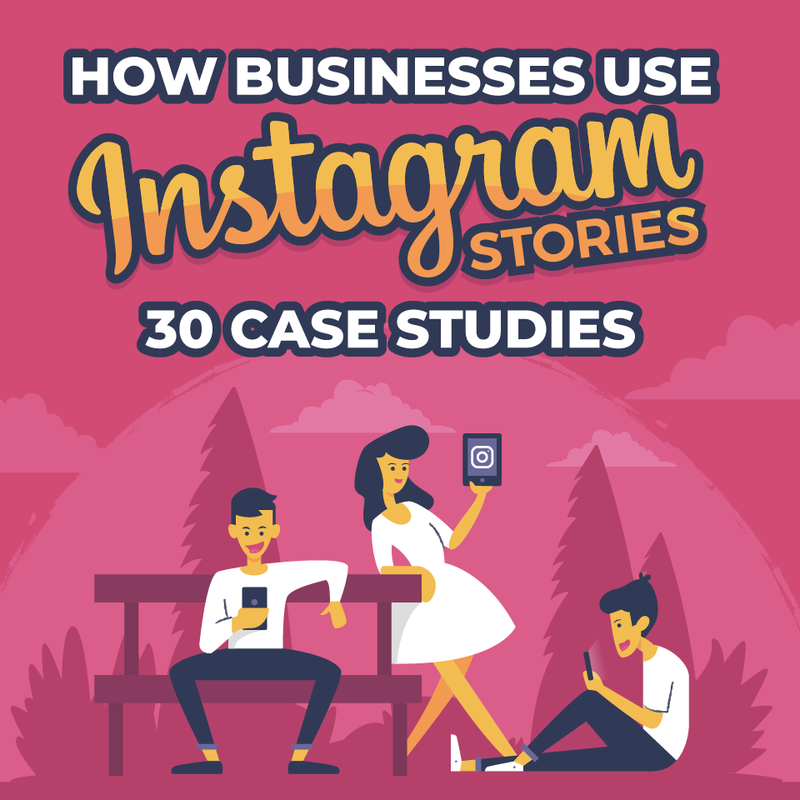 Over 50 percent of businesses on Instagram used the Story feature. On average Instagram users spend 28 minutes on the social media app. Twitter's Instagram Stories are full of social causes, news sports and celebrities and each video prompts users to swipe up to learn more, i.e., swipe up to go to Twitter.